The many wonders of Earth are but a fraction of the grandeur of our solar system, yet many of Earth's marvels are not unique to the blue planet. One of Earth's more beautiful natural phenomena, an interaction between charged particles in the atmosphere and Earth's magnetic field known as the aurora, has also been observed at the poles of the gas giant Saturn. The National Aeronautics and Space Administration's (NASA) space probe Cassini, which has been studying Saturn and its moons since 2004, has recently recorded video footage of Saturn's aurora. The Cassini-Huygens project, a joint effort between NASA, the European Space Agency (ESA), and the Italian Space Agency (ASI), is also responsible for the previous discovery of water within the moon Enceladus. The project's analysis of Saturn's aurora has ranked it as the "tallest" of any in the solar system, with the colorful flares appearing over 750 miles from Saturn's northern hemisphere. 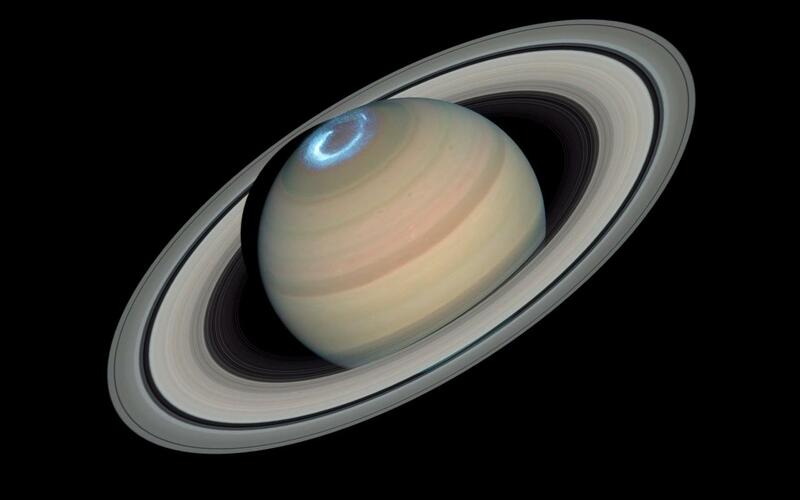 Aside from its beauty, Saturn's aurora can give scientists more information about the planet. Analysis of the changes within the light pattern could reveal certain characteristics about Saturn's magnetic field. These findings may allow scientists to better understand the gas giant. The height of the aurora also uncovers another fact about Saturn's atmosphere: that it is mostly hydrogen gas, which is far lighter than the nitrogen gas prevalent in Earth's atmosphere. Other aspects of the aurora such as its true color, which is affected by atmospheric composition, are still under investigation by scientists. However, Cassini's findings have again reminded us that there is far more natural beauty in the solar system than we could ever anticipate. I was watching a documentary a few days ago on the Cassini-Huygens project. Apparently, Enceladus is the place astronomers want to visit! Maybe even more than Titan. Why? Because it's accessible. Scientists have claimed that all the ingredients for life, namely water, energy sources, nitrogen, and organic compounds are there. All of these ingredients are being spit out in to space so samples are not too hard to find. Just makes me wonder you know, how is there so much energy on such a tiny moon? The best guess so far is that there is a subterranean ocean in Enceladus which is undergoing tidal heating. Looking forward to see what other discoveries can be made before 2017.